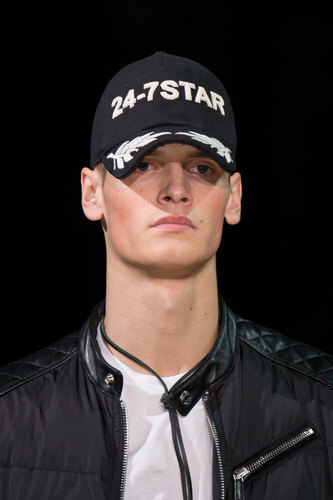 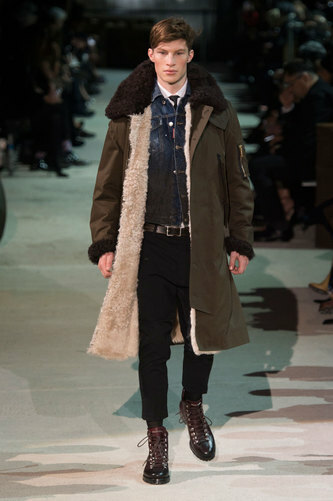 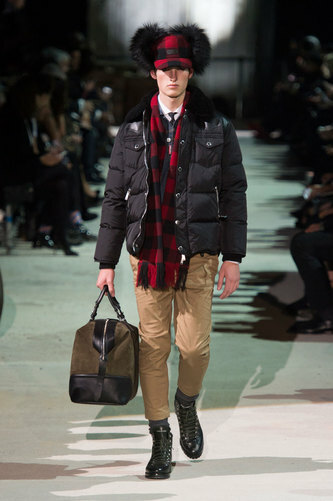 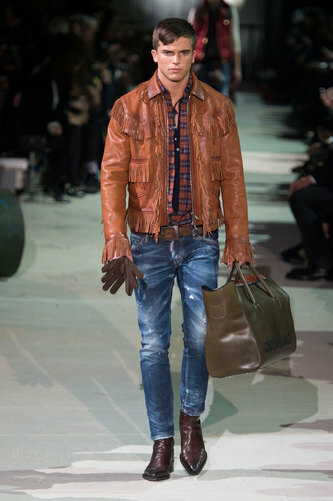 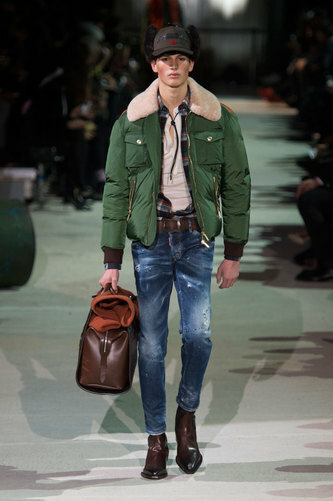 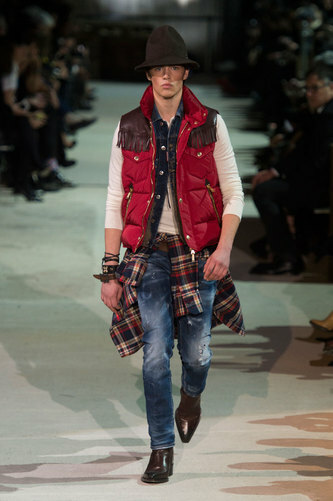 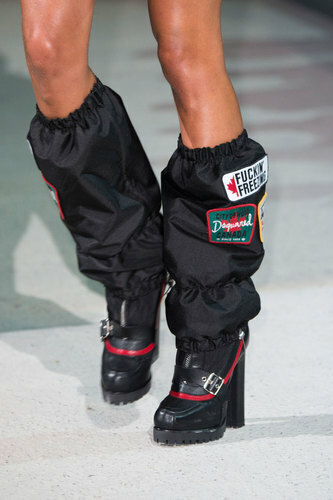 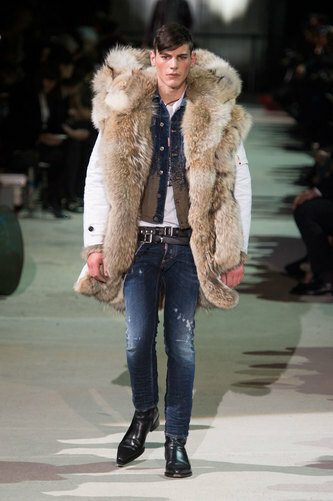 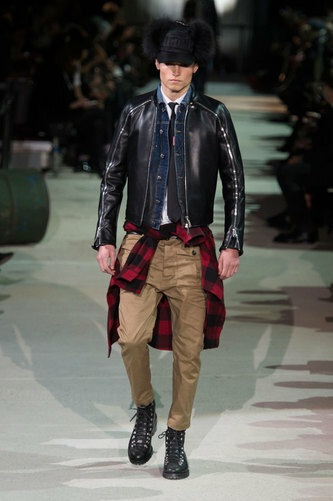 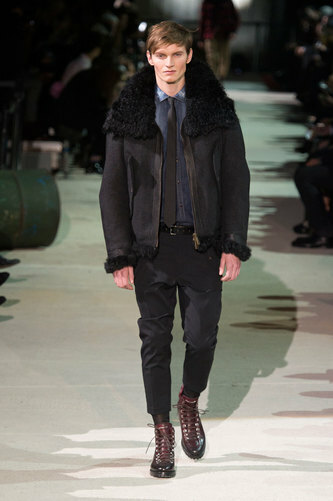 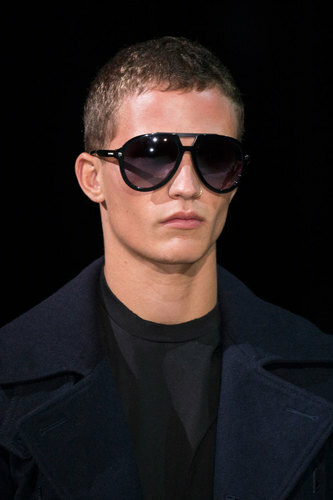 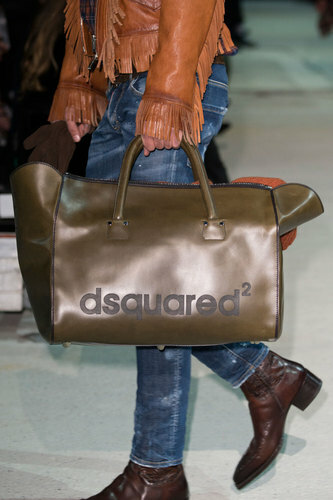 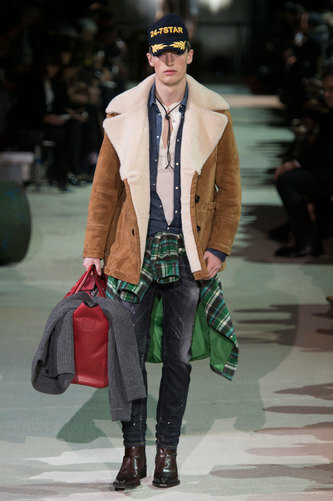 Dsquared2 Man Autumn-Winter 2015-16 – Epic and versatile collection for DSquared2: the brand celebrated the 20th anniversary with the special performance of the R’ and B’ queen Mary J Blige. 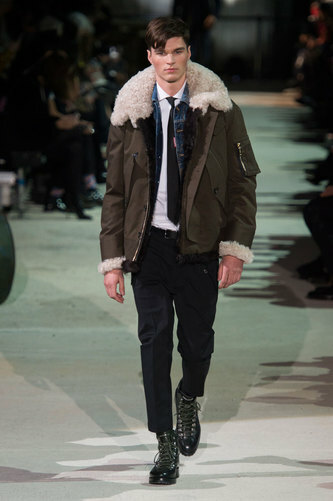 The celebration took place in the Hangar Bicocca and it was decorated by the art installation signed by the famous talent Anselm Kiefer. 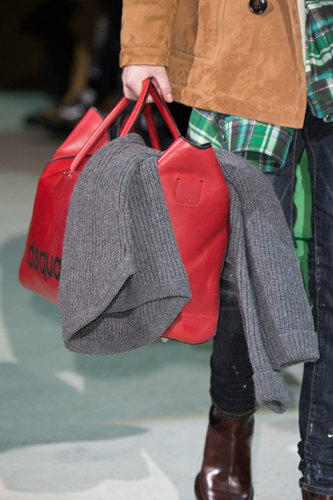 The brand traveled through time again remembering all their collaboration with international stars. 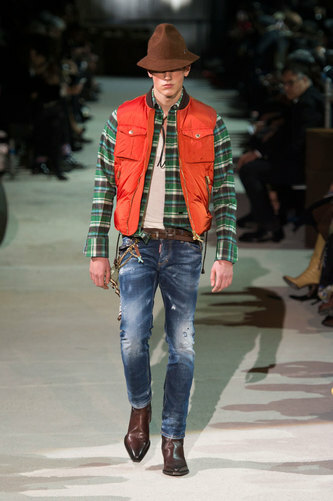 The collection is a merge of many styles of the American tradition. 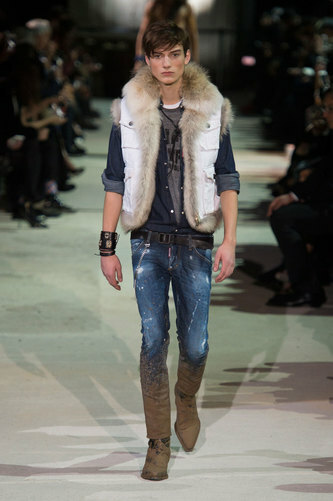 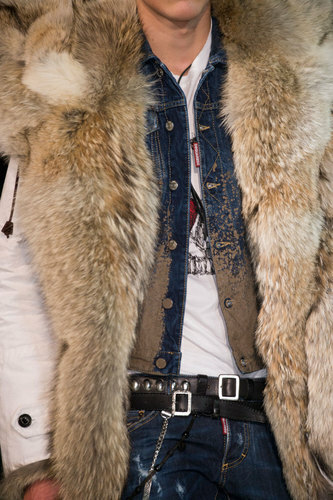 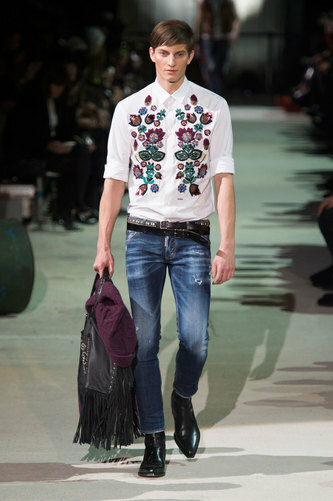 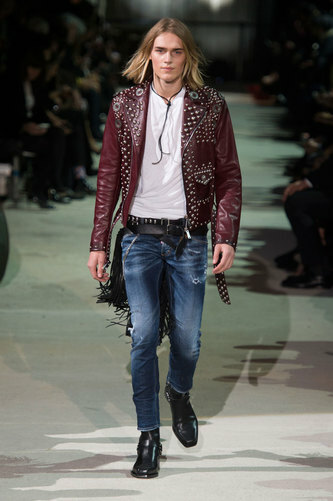 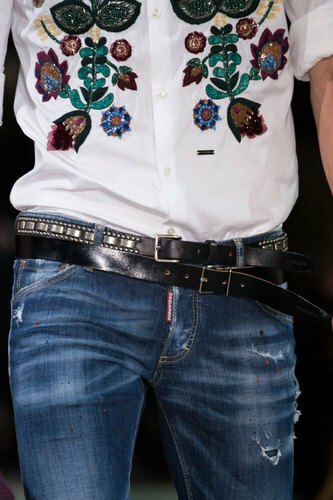 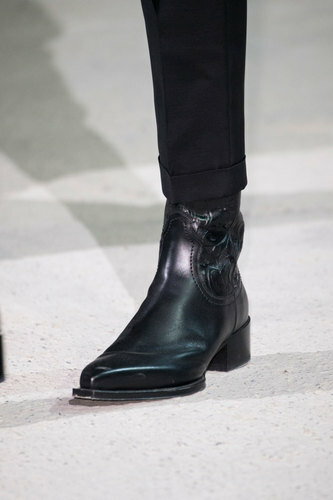 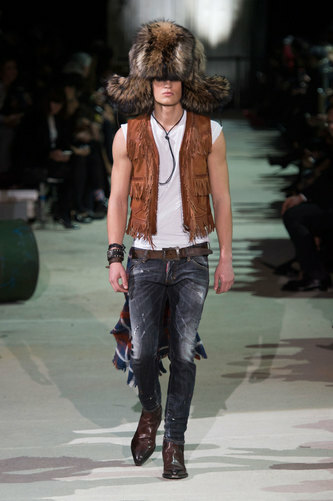 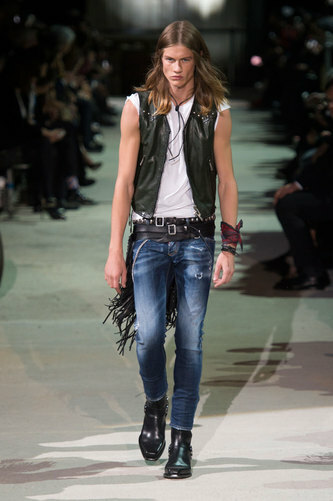 Fringes, leather,stud belts and neck laces are an echo of a cowboy rock’n’roll style. 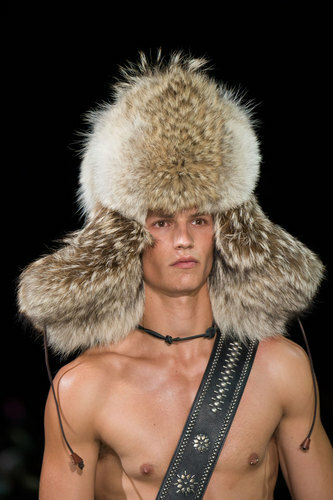 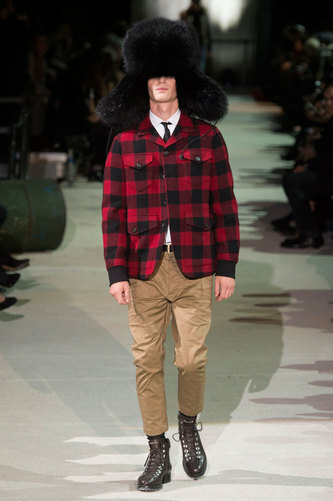 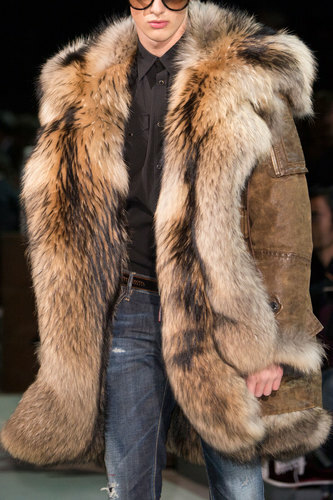 Fur coats and accessories, enormous trapper hats, and buffalo plaid shirts remind lumberjacks and foresters. 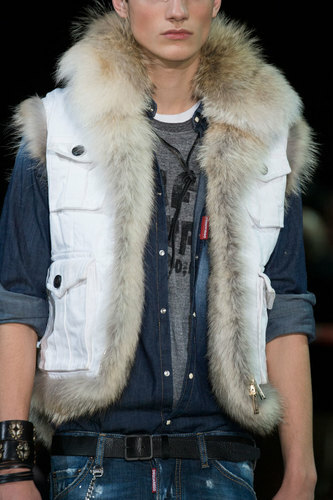 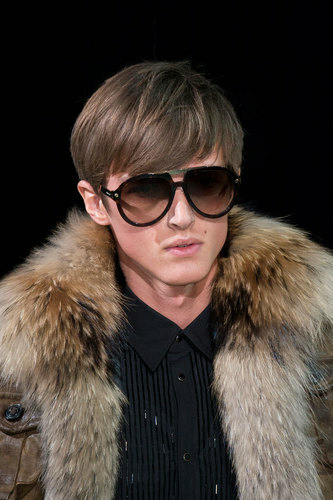 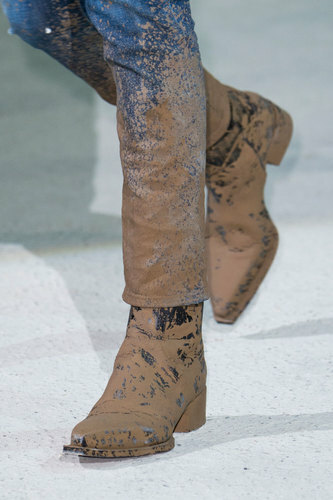 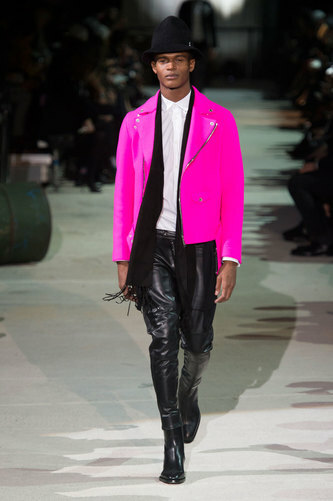 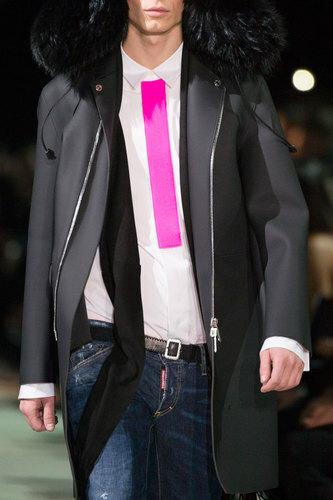 Funny details such as bright pink jackets or floral motifs are introduced in some of the looks. 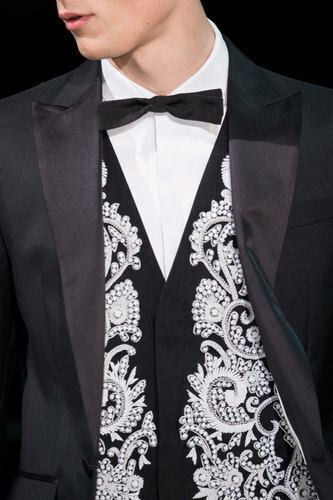 After the appearance of the designer on the catwalk, the collection turns suddenly to a tuxedo wide selection: Shimmering textiles and velvet in many colours. 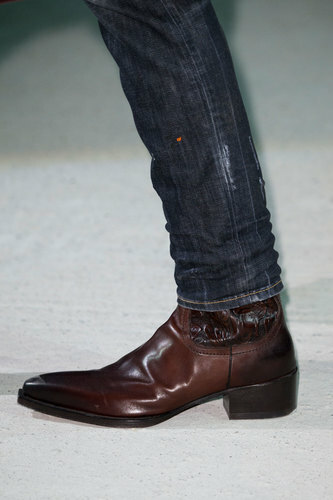 An image of the American school balls.